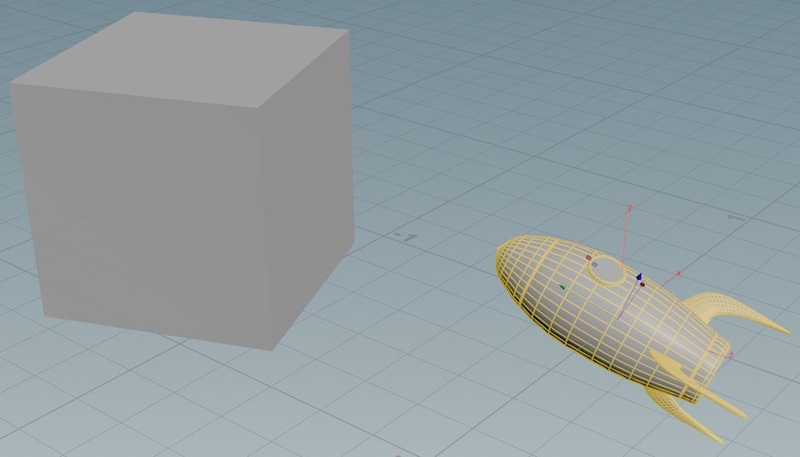 Houdini has two grids: the reference plane which helps you orient yourself in 3D space, and the construction plane which tools place things relative to. 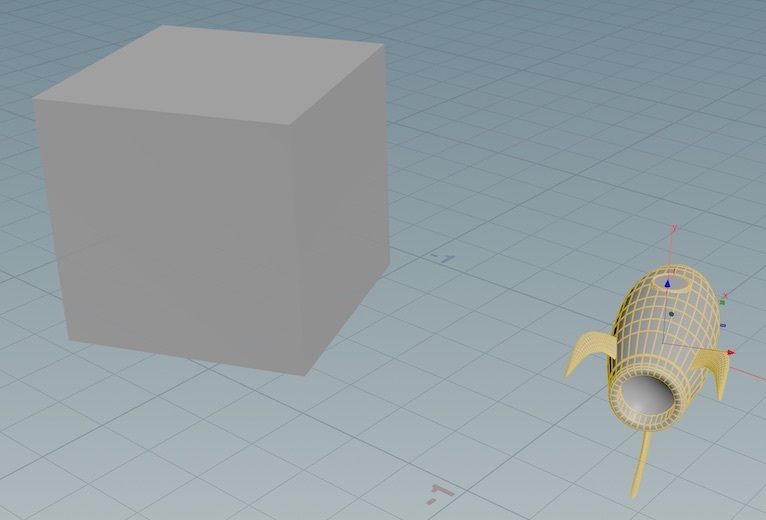 The default infinite XZ grid shown in the viewer is the reference plane. Click the Display reference plane icon (on the display toolbar to the right of the view). Right-click the Display reference plane icon (on the display toolbar to the right of the view) and choose Reference plane parameters. See the reference grid parameters below. You can set the Ruler type directly from the right-click menu on the icon. 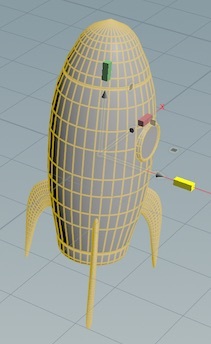 Many modeling operations, such as creating a new objects using the tools in the Create shelf tab and drawing curves, are relative to the construction plane. 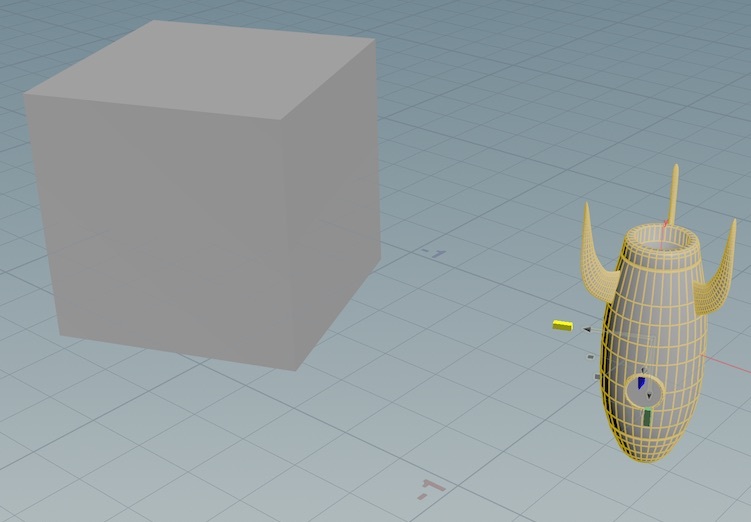 The default construction plane is the same as the reference plane (an XZ grid centered on the origin). 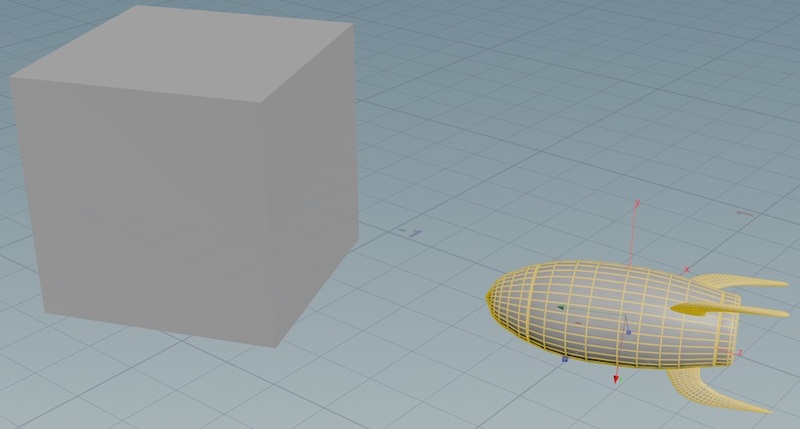 You can change the display of the grid on the construction plane, or move/reorient the construction plane to make it easier to model in an area not centered on the origin, or in a space other than the XZ ground plane. When you're using the construction plane, you might also want to turn off the reference plane to avoid confusion. Click the Display construction plane icon (on the display toolbar to the right of the view). The construction plane handle lets you position, rotate, and align the construction plane interactively in the viewer. Right-click the Display Construction Plane button in the display toolbar to the right of the viewer and turn on Construction Plane Handle. Tap / to toggle the handle on or off. Hold / to show the handle, interact with it, then release the key to hide the handle again. Use the handle at the center to move or rotate the construction plane. The construction plane extends to infinity. However, you can resize the visual indication of the construction plane by dragging the handles at the corners. 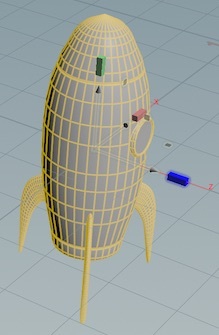 With construction plane handle shown (see above), click a component (face, edge, or point) to snap the construction plane to the component and align construction plane’s normal with the component’s normal. You can quickly align the construction plane as you work using the sticky construction plane handle key. For example, press and hold /, click a face to align the construction plane to it, then release the key. Right-click the Display Construction Plane button in the display toolbar to the right of the viewer and choose Set construction plane ▸ Align c-plane with viewing plane. Right-click the Display reference plane icon (on the display toolbar to the right of the view) and choose Construction plane parameters. See the grid parameters below. Right-click the Display Construction Plane button in the display toolbar to the right of the viewer and choose Set construction plane ▸ Revert to defaults. 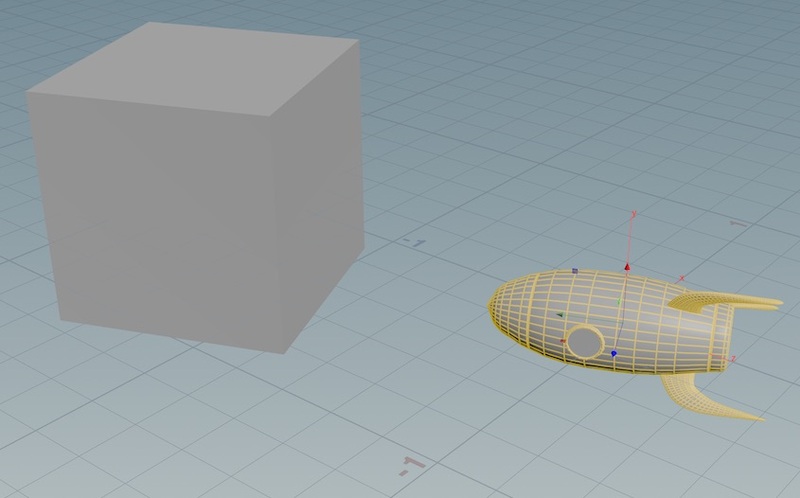 How far apart (in Houdini units) to draw the grid lines. Show numbers on the axes at these intervals. For example, 5 means show numbers on the grid at 5, 10, 15, and so on. See also the Ruler type option below. Center the grid plane around this point (in world units). An easier way to position the construction plane is to use its handle (see above). Specifies the orientation of the grid plane. Don’t show numbers on the grid. Show numbers on the vertical and horizontal axes. Show numbers across the entire grid. Similar to quickmarks in the network editor, you can store and recall a few commonly-used views, and a few construction planes, and switch between them easily using hotkeys. Hold Space to enter the view tool, then press ⌃ Ctrl and 6, 7, 8, or 9. Hold Space to enter the view tool, then press 6, 7, 8, or 9. Tap / to enter theconstruction plane state, then press ⌃ Ctrl and 6, 7, 8, or 9. Hold / to enter the construction plane state, then press 6, 7, 8, or 9. Saving a quick view saves everything about the view at that moment, including display options such as whether points are displayed, what guides are visible, and the shading mode. Use the snapping icons in the toolbox (one the left side of the viewer pane) to turn snapping on and off. Right-click, or press and hold, an icon to see a menu of options. Snap to points on the construction plane. Snap to curves and edges. Snap to different things simultaneously. Right-click to open the options menu and choose Multi-snapping options to set priorities for individual types of snapping. At the Geometry level, you can snap to templated geometry (geometry that is made visible for reference purposes, using the template flag). At the Geometry level, you can snap to geometry from other objects, not just the object you are inside. 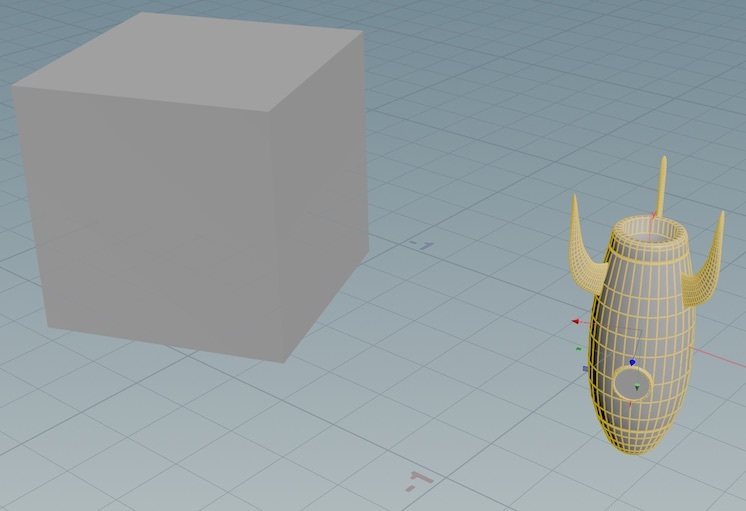 At the Object level, you can snap to geometry in objects with the X-ray flag set. 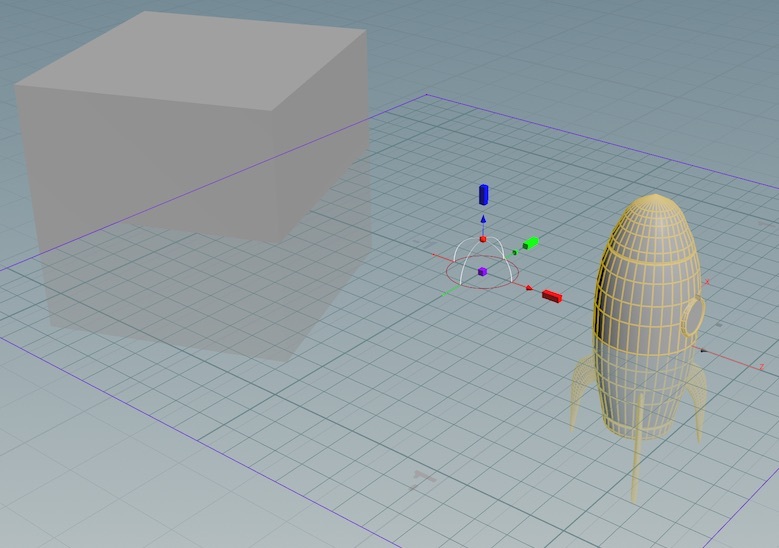 Prevents snapping to geometry hidden (occluded) behind shaded surfaces. When Occlusion is on, you can only snap to visible geometry. If you turn this option off, you can snap to reference geometry, but the point stays on the construction plane. Snap to the midline of enclosing geometry under the cursor. When you snap one object to another, normally the orientation of the object will remain the same and only its location will change. 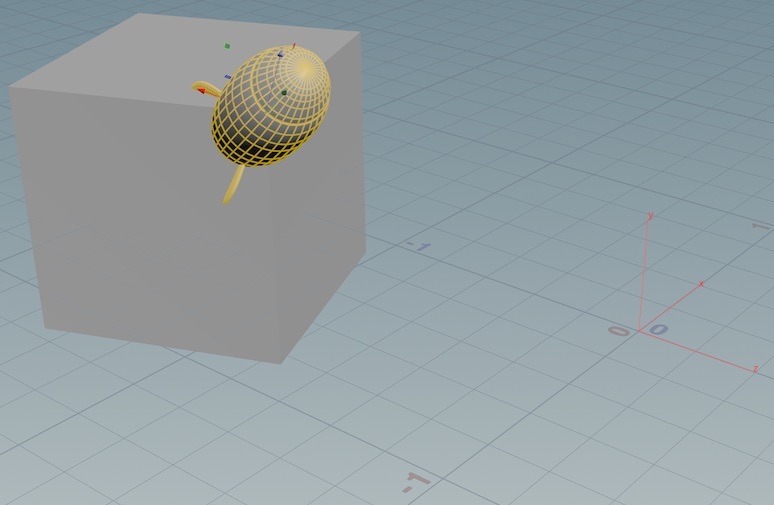 If this option is turned on, the object will rotate according to the preference set in the snapping options window. 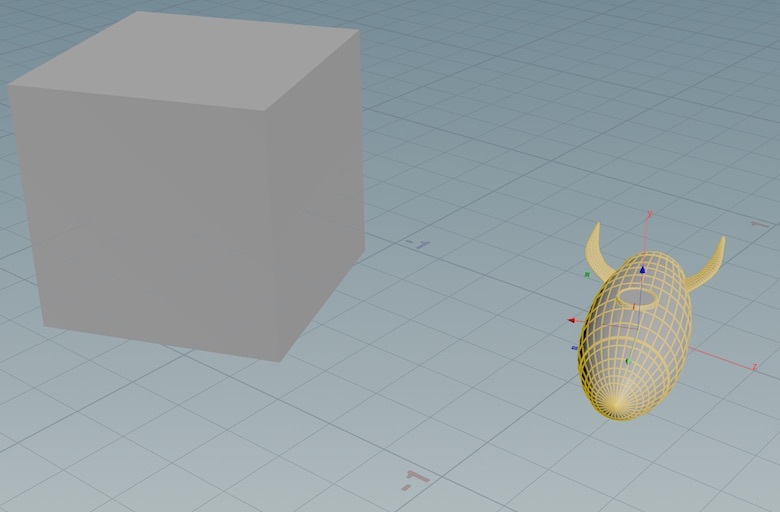 The default is to rotate so the closest major axis (x, y, z) points in the direction of the thing you are snapping to. Open the snapping options window containing additional options. For multi-snapping, this window lets you give each type of snapping different priorities so, for example, snapping to points overrides snapping to edges. In many Houdini tools, viewer handles let you interactively edit parameter values in the viewer, such as the Transform and Rotate handles that let you position and rotate objects. Often you want to position and/or rotate those handles based on existing geometry. For example, you might want to position a cube object’s pivot at one of its corners. You can use the alignment state/hotkey to align handles with geometry. The Align Components shelf tool provides a higher-level workflow for aligning geometry to geometry. Right-click the handle and choose Align handle ▸ Start orientation picking. Tap ; to toggle the align state on or off. Hold ; to show the align state, interact with it, then release the key to exit alignment mode. 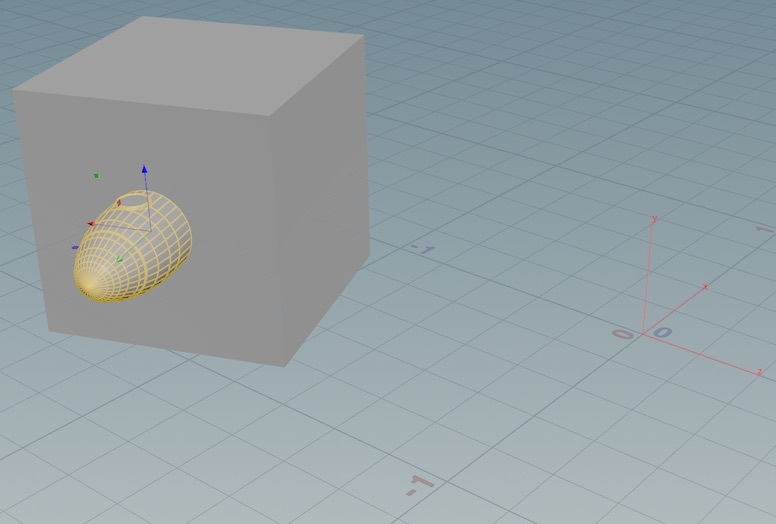 Unless you hold the key, once you align the handle Houdini will automatically exit the align state. 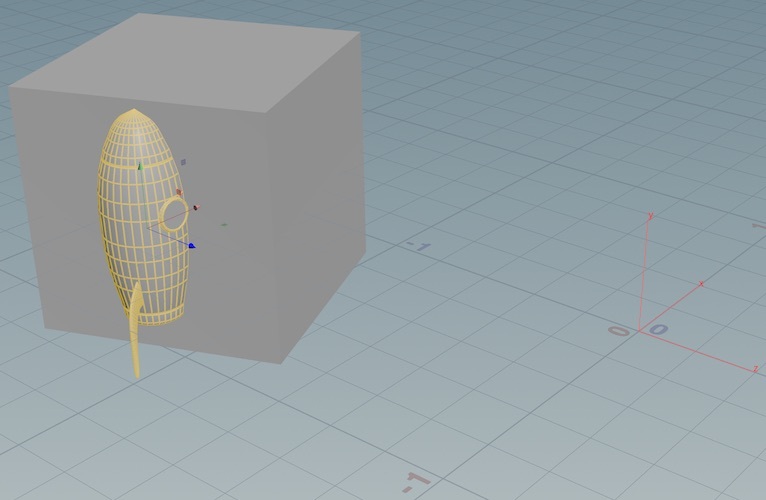 You can align a handle to the position and/or normal of a face, edge, or point. Enter the align state (see above). 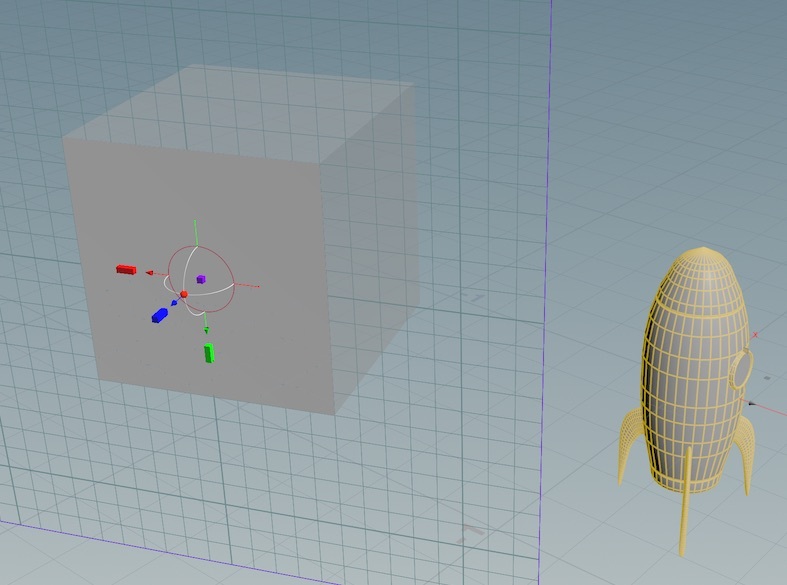 Houdini highlights points, edges, and face normals as you move the mouse pointer. Click the face, edge, or point you want to align to. Moved to front face, aligned with front face normal. Aligned with front face normal only. Moved to front face without aligning. 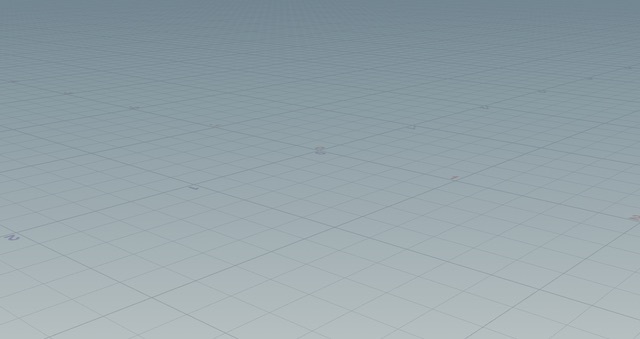 By default, Houdini aligns along the "up" axis (+Y in the default settings). 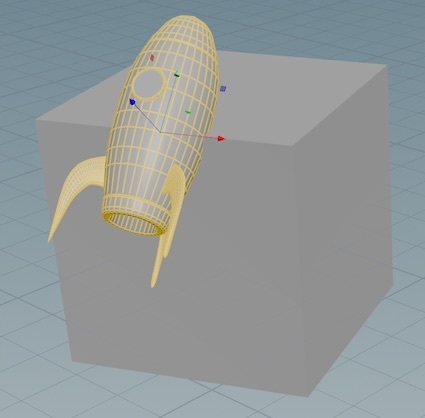 You can set a primary axis to control which axis Houdini uses when you align the handle to geometry. ⌃ Ctrl-click one of the rectanglar axis alignment handles. The rectangle becomes pointy to show it is now the primary axis. …to make it the primary axis. Now when you align to geometry (see above), it will align along the axis you set as primary. This procedure orients the handle based on some existing geometry. It does not move the handle. Click one of the rectangular axis alignment handles. The rectangle turns yellow to show it is selected. Oriented the Z axis to the normal of the top face. Oriented the Y axis along the front edge. Oriented the Y axis toward the corner point. 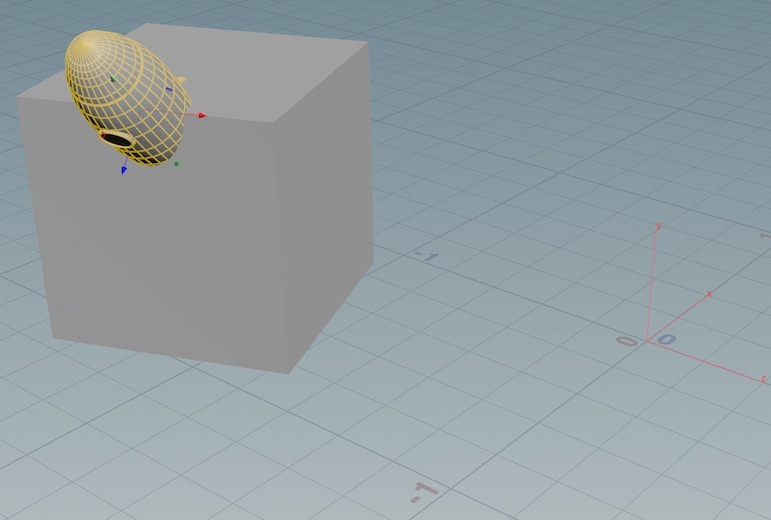 After you orient the handle along one axis (see above), you can "lock" that axis orientation and try to orient the other two axes based on other geometry. This procedure involves multiple steps in the handle align state. If you enter the align state using the context menu or by tapping the key, the state will end after the do the primary orientation, and you will need to re-enter the state to do the secondary orientation. Or, you can perform both orientation steps while holding the state key. Enter the align state and orient the handle based on some geometry (see above). ⌃ Ctrl-click the rectangular axis alignment handle to lock it as the primary axis. 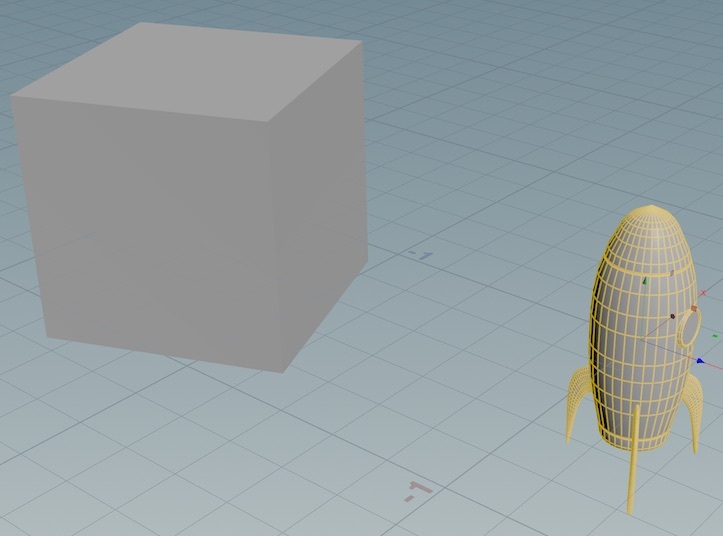 The rectangle becomes pointy to show it is now the primary axis. Click a face, edge, or point to orient the other two axes. It may not always be possible to accomplish the secondary orientation if it conflicts with the locked primary axis orientation. Right click the handle and choose Align handle ▸ C-plane axes.